Saturday 18th August saw the Scottish Classic take place at Glenrothes Recreation & Social Club, with Robert Douthwaite winning the men’s title. 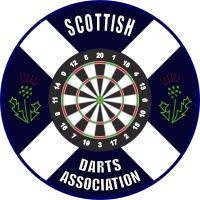 Douthwaite took out Scottish captain Alan Soutar 4-3 en route to the final where he faced Ross MacDougall. The Durham county player dispatched of MacDougall 5-2 in the final to lift the trophy. Results of men’s group stage here. Results of men’s last 16 onwards here. In the Ladies event, Scotland’s Louise Hepburn whitewashed Julie Thompson 4-0 to take the top prize. Hepburn also dispatched of Chelsea McMahon 3-1 and Steph Gilmour 3-0 on her journey to the title. Results of Ladies group stage here. Results of Ladies quarter-final onwards here. Focus now turns to the Swedish Open this weekend as the next event on the BDO Calendar, a Category A ranking event with a £2200 men’s top prize. This will also mark the final cut-off to decide on the ranking qualifiers for 45th Winmau World Masters.